The simulated docking target of the orbiting Saturn IVB stage, Apollo 7, October 1968. Numbered 'NASA G-69-2601' (NASA Goddard) in black on the recto l.l. 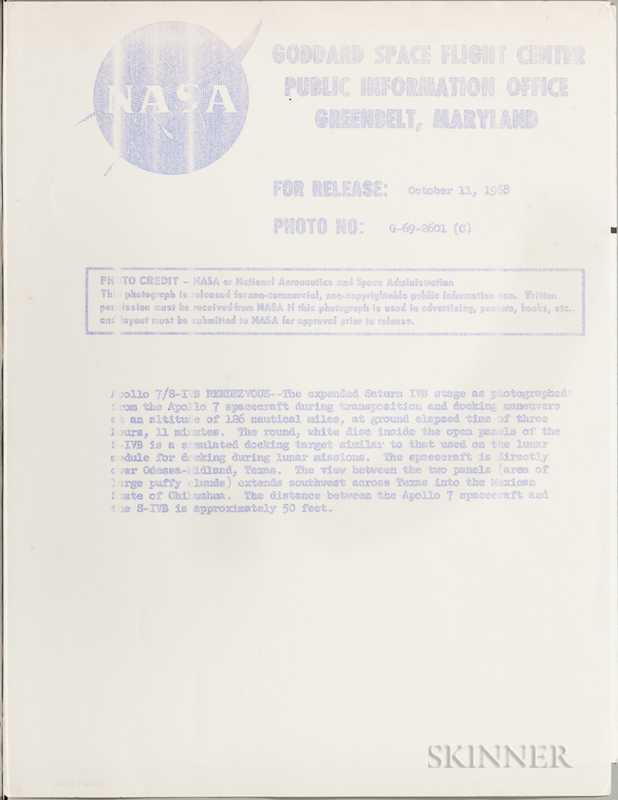 margin, NASA Goddard caption on a separate sheet. Vintage chromogenic print on fiber-based GAF paper, image size 7 5/8 x 8 in. (19.2 x 20.3 cm), unmatted. Condition: Minor cracks in emulsion at u.r. corner, possible color shifting. N.B. 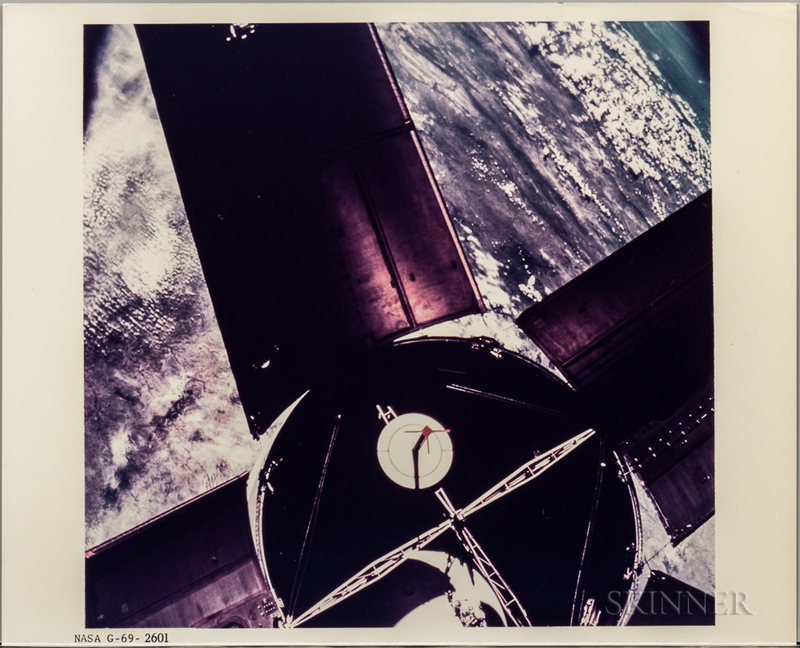 The round, white disk inside the open panels of the S-IVB is a simulated docking target similar to that used on the Lunar Module for docking during lunar missions. The distance between the Apollo 7 spacecraft and the S-IVB is approximately 50 feet. Close-in maneuvering with the spacecraft, Donn Eisele said later, was "rather like one car overtaking another, but a car with very weak brakes and not much acceleration" (Mason, p. 144).